Airlet provides a differentiated solution to monitor air pollution along the popular travel routes in a city and provide targeted alerts to the users who wish to take less polluted routes. The solution combines air pollution monitors mounted on public transport vehicles, taxis and council vehicles and AI-powered application that can analyse the data to provide alternate lesser polluted route options. The solution consisted of air pollution monitors mounted on public transport vehicles, council vehicles and taxis. As these vehicles often travel along the highly polluted and populated areas of the city, they will be able to collect real-time data on the air pollution levels in those routes. These data can be used to map pollution levels along each route. Various parameters and pollutants that need to be monitored to get better levels of air pollution were prioritised. Using locally available sensors a prototype was designed and assembled to demonstrate the idea. 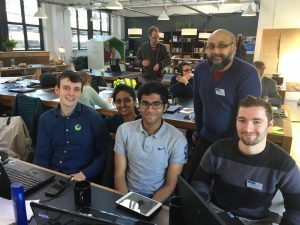 A partially working prototype was developed as part of the Leeds Climathon, a global movement organised by Climate-KIC designed to tackle an urban climate-related challenge. 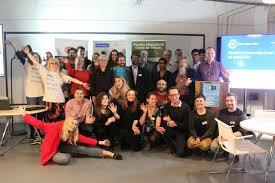 The idea sparked a high interest among the City Council representatives and other investors at the finals.